Learn the basic anatomy of the circulatory and respiratory systems. Young Scientists learn about the basic anatomy of the circulatory and respiratory systems by measuring lung volume, making heart and lung models, and designing a working stethoscope. 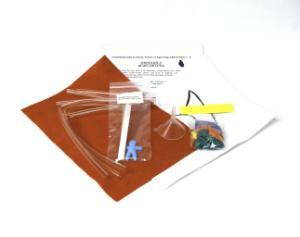 This kit is a great introduction to the world of human physiology.